KDK provides pediatric dental services in 14 clinics in California. The Company was founded by Dr. Jerry Lanier in 1994 and currently treats over 75,000 children annually. The vast majority of KDK patients are covered by Denti-Cal. After spending 30+ years practicing pediatric dentistry for underserved populations and growing his business into one of the largest most respected pediatric dental practices in the Western U.S., Dr. Lanier was ready to explore a sale. Soon upon engagement, Synergy identified financial management infrastructure needs and introduced a prospective interim CFO candidate to help with the process. In addition, Synergy introduced additional Denti-Cal consulting resources to help bidders understand the program. A targeted strategic & financial buyer list of 60+ targets was developed by Synergy. A handful of bidders made it to the final round after a very thorough process. 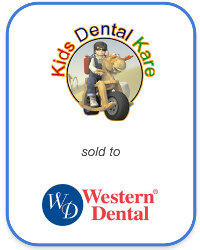 Western Dental aggressively emerged as the strongest and most suitable buyer. Synergy worked with Western Dental and other bidders in diligence and negotiations to enhance the transaction value. Ultimately, Synergy was able exceed Dr. Lanier’s monetization objectives at valuations much higher than originally expected.